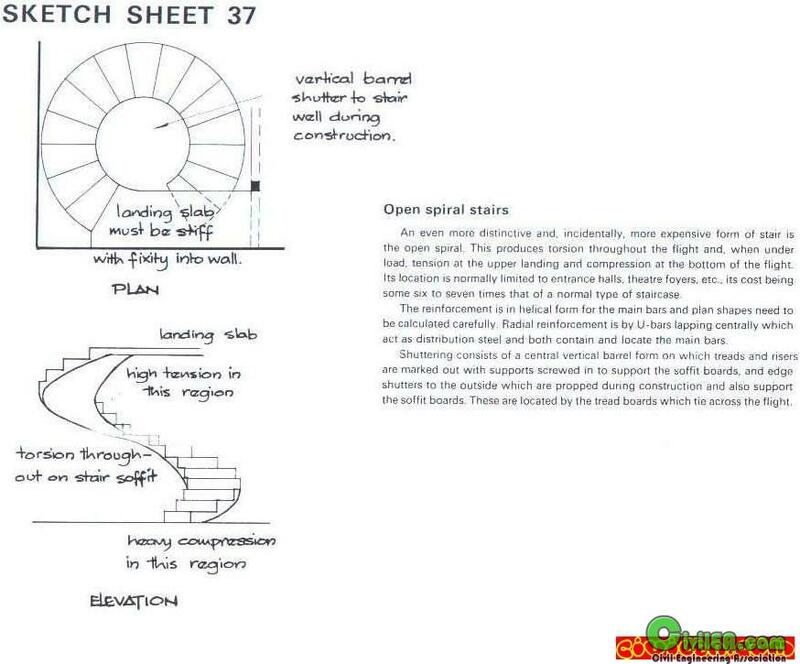 Can anybody post a drawing showing reinforcement details of an RCC helical (Spiral) staircase ?. Thanks in anticipation. The article bellow is simple and restrict to spiral staircase with central pole. But could be an starter. If your stair is without central column, please, post a draft to us. if you can provide me with a quasi detailed method to design R/C spiral stairs you will be appreciated . precision and numerical accuracy.-------->Bungale S. Taranath. Thanks Dell & Mig21 for sharing details & a nice book. The staircase I am designing is as exactly as shown in Elevation of Sketch Sheet 37 shared by Dell. i.e., the staircase has supports only at the starting & ending step levels (At 0.00 & 4.00 M levels). However, Section 'AA' of Detail Sheet 37 shows a slab cantilevering from a wall, which is not the one I am seeking for. Request u all again to help me out. Thanks and regards. im asking if you can provide us with the complete notebook from which you showed these sketches? Shout: Engineering is all about "Common Sense"
with simple assumptions as taken in any stair design.. Excuse my delay, but I'm returning to this issue! @Umer.Aleem: You describe two possibilities do design spiral stair, but it's not only and not the most usual nowadays. The architects prefer "clean" and thin structures, so single slabs (rectangular or trapezoidal) is necessary, without any beam. 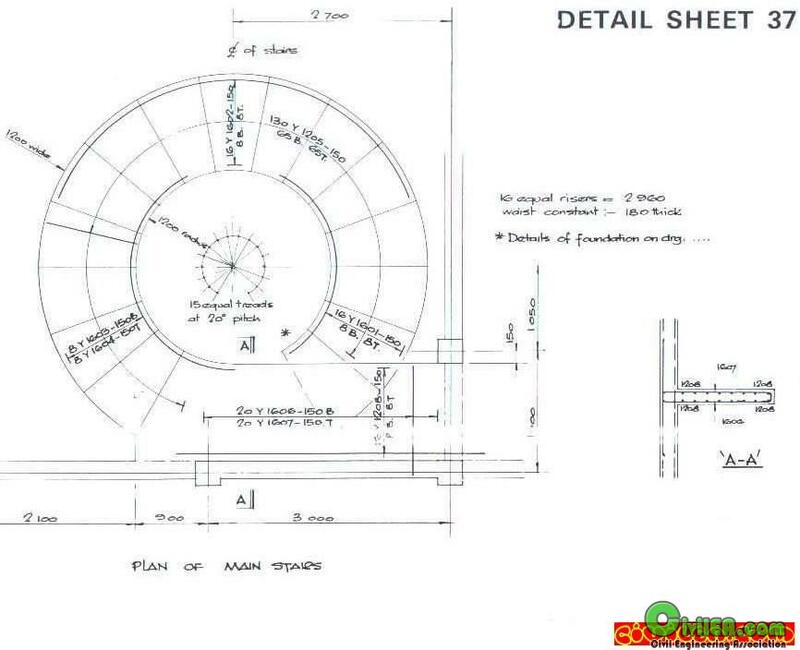 Using finite elements method it's relative easier to design a simple slab spiral, supported only at ends. I'll find and share some articles and calculation notes about this type of spiral slab.